If a document contains many comments (inserted via Review tab > New Comment), you may wish to get an overview of all the comments in one place. Here you will find both a macro and a free Word add-in that lets you extract all the comments to a new document. 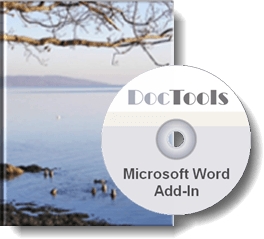 Instead of installing the macro available on this page you may be interested in the ready-to-use add-in, DocTools ExtractData. Below, you can read about both the add-in and the macro. Read below if you want to use the macro instead of the add-in. Note that you may need to change the table layout. Among other factors, the result will depend on your default table settings.